Robert P. Lamprey, chairman of the board of directors of MutualOne Bank, has announced the election of Dennis W. Cardiff of Framingham as a director. 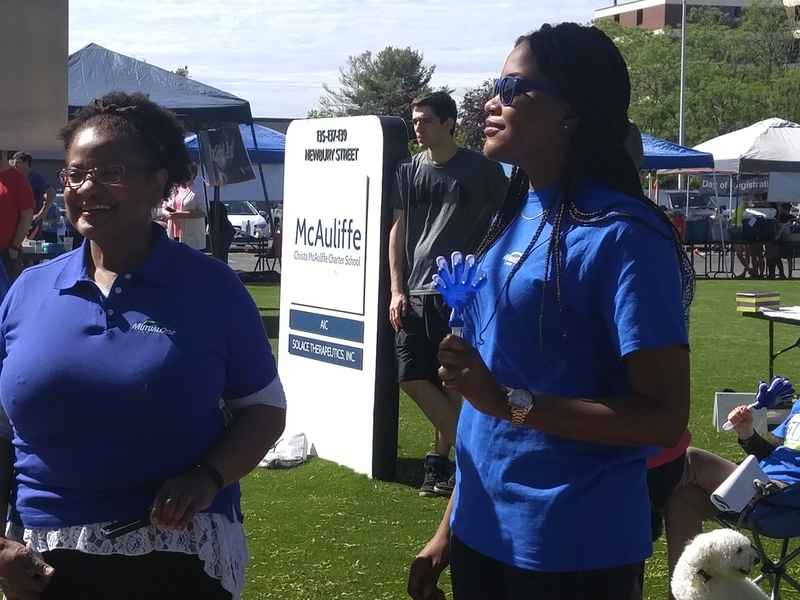 Cardiff is a senior vice president at SchoolCNXT, Inc., developers of a mobile application for increasing community and parent engagement in schools nationwide. He has been involved in the administrative management of school systems and collaboratives for the past thirty years. A graduate of Salem State University, Cardiff continued his studies at the Harvard Kennedy School. 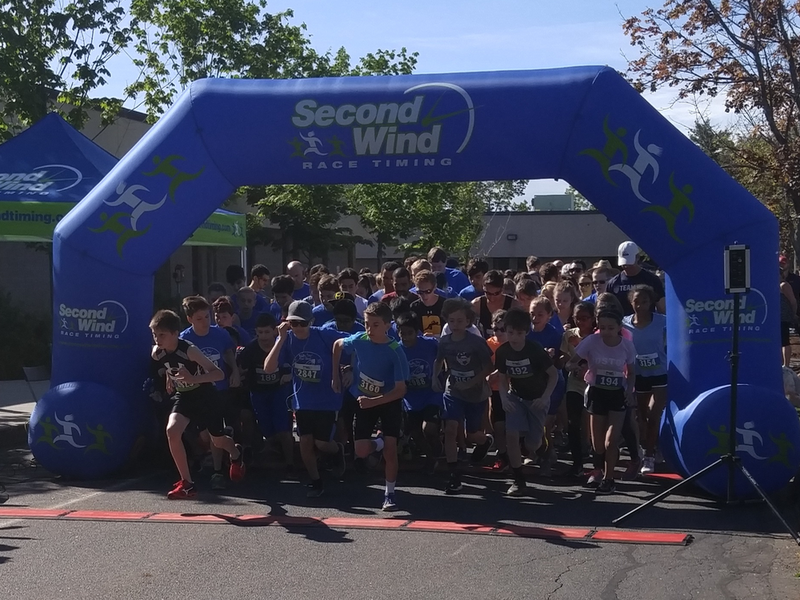 He is a current board member of The Learning Curve Consortium Worldwide, Inc.; former vice-chairman of the Framingham City Charter Commission; and former chairman of the Framingham Board of Selectmen and the Framingham School Committee. 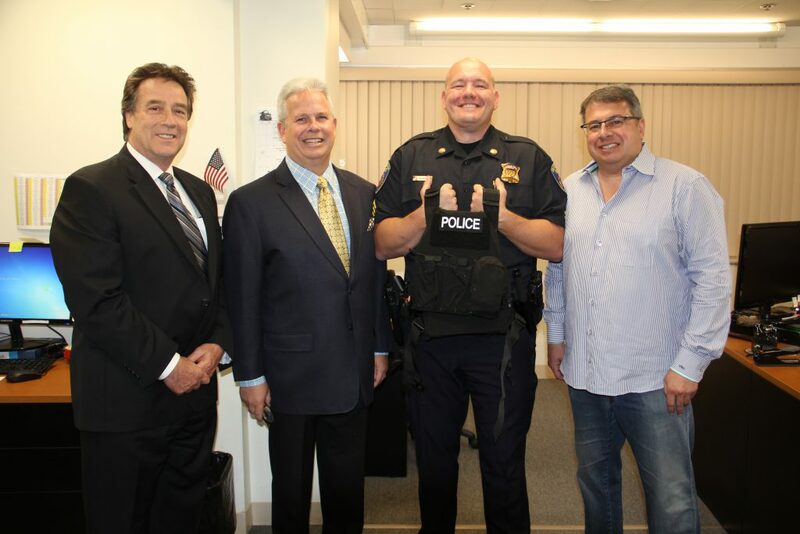 This summer, the Framingham Police Department was able to purchase 25 sets of ballistic vests, helmets and related equipment for officers, thanks to a $15,000 donation from neighbor and MutualOne Bank customer, Weston Shooters, a private shooting club, and premier provider of firearms safety instruction in the MetroWest communities of Massachusetts. According to Victor Grillo, owner of Weston Shooters Club, the need for funding was discovered thanks to the Department’s close relationship with MutualOne Bank, and our president, Mark Haranas. “Our members are strong supporters of responsible gun ownership and firearms safety. We are pleased to be able to help our friends in law enforcement stay safe as they work to protect our community every day from those who don’t share the same gun values we do,” said Grillo. 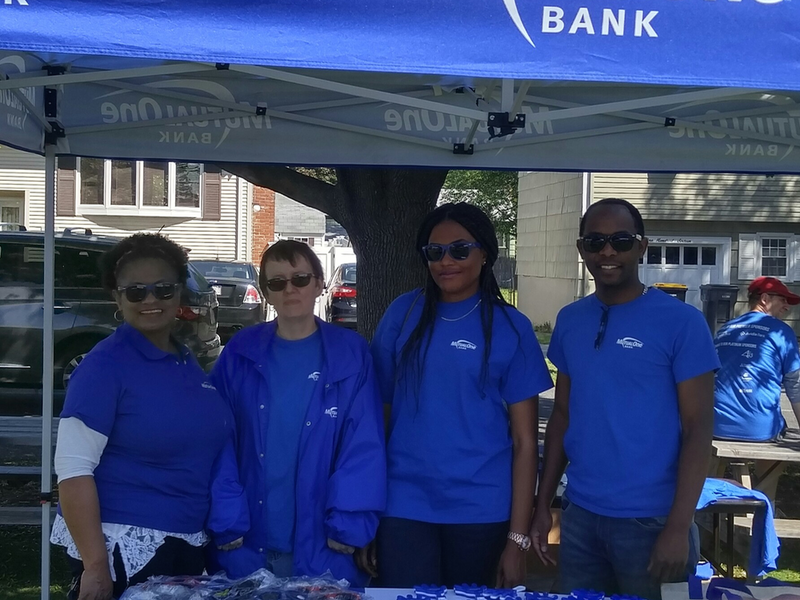 The Bank has long supported the Framingham Police Department through donations from the Charitable Foundation, including a recent $5,000 contribution to help defray the costs of the Department’s wildly successful Gun Buy Back Program. By working with partners such as Weston Shooters, we are able to help bring more resources and support for fundamental community services. Partnering to support the Framingham Police Department (l-r) MutualOne Bank President, Mark Haranas; Framingham Police Chief Kenneth Ferguson; Officer Philip Hurton; and Weston Shooters Club owner Victor Grillo. 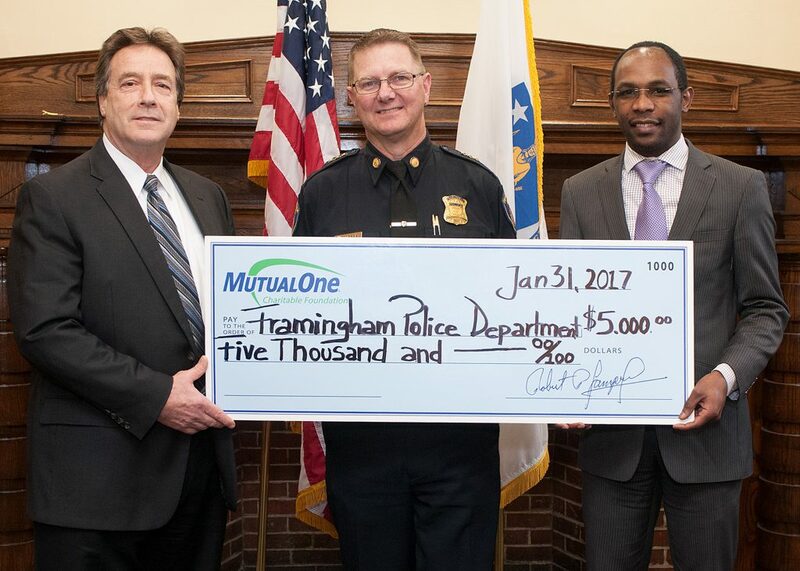 Celebrating the MutualOne Charitable Foundations donation to the Framingham Police Department’s Gun Buy Back Program are: (l-r) MutualOne Bank President and CEO Mark Haranas; Acting Police Chief Steven Trask; and Yves Munyankindi, retail support administrator at MutualOne Bank. You will no longer see your personal image and passphrase before entering your password. As part of the first login through the new screen, you will be asked to reset your security questions. We apologize for any inconvenience during this change. If you have any questions, or need assistance accessing online banking, please contact Client Services at (508) 820-4000. Beginning Monday, June 19 you will no longer see your personal image and passphrase before entering your password. As part of the first login through the new screen, you will be asked to reset your security questions. 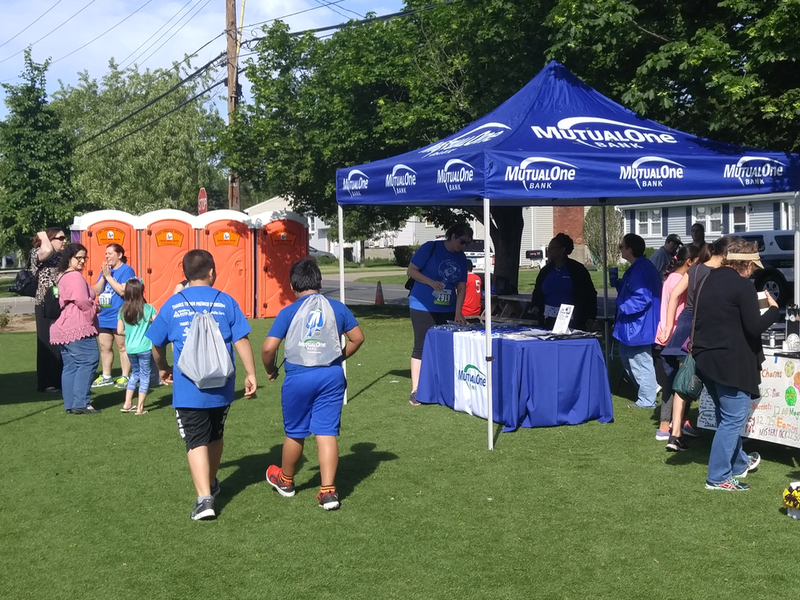 We joined students and parents as sponsors of the Christa McAuliffe Charter School’s Annual 5K in Framingham. Our updated bill payment system is now active – we thank you for your patience during this update. When you select the Pay My Bills tab, you will notice a new user interface. Confirm Payee Information. Before paying any bills, we recommend that you confirm the accuracy of your Payee Information, including delivery dates. Re-enroll in eBills. If you have been receiving eBills, you will need to re-enroll through Pay My Bills to continue receiving eBills. In most cases, the re-enrollment process will only require that you select the payee and enter identifying information. New funding date. Money will be deducted from your account when a bill is actually paid by the bank (typically the “deliver by” date), rather than when it is scheduled for payment. This means your current balance will not reflect payments that have been scheduled but not delivered to the payee. Click here for a tour of our updated bill payment system. For more information, please contact Client Services at (508) 820-4000.